Here’s what’s happening: Customers read Wild, love it, then see the movie and love that, too. 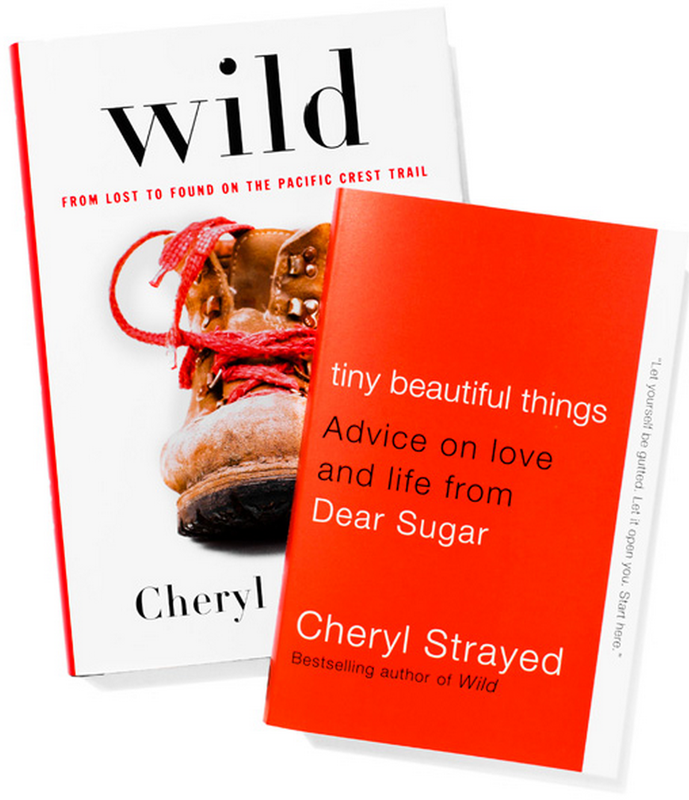 Then they get hungry for more Cheryl Strayed; so they come back and get Tiny Beautiful Things, Strayed’s book based on her popular Dear Sugar advice column at The Rumpus, and they fall in love with Strayed’s candor, compassion, and no-holds-barred personal storytelling all over again. Perhaps they also buy her novel, Torch, and read that. They scour the internet for every article they can find with a Strayed byline. But then what? 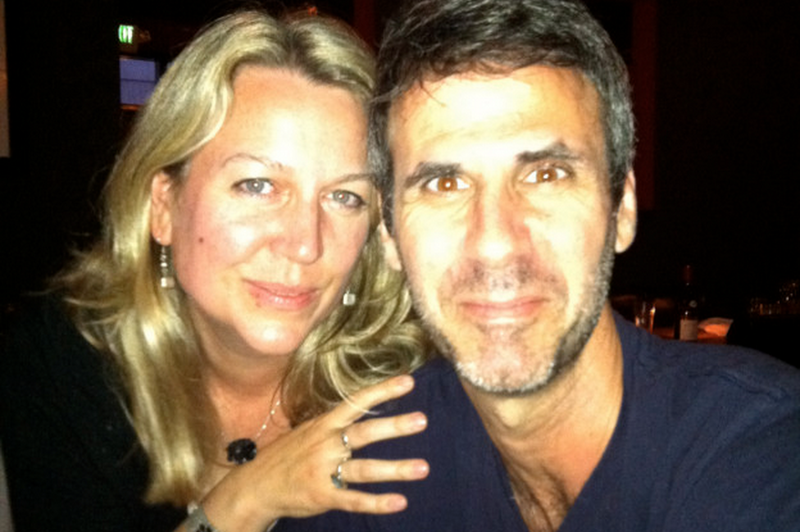 Cheryl Strayed Withdrawal Syndrome sets in. Great news, junkies. Dear Sugar is back to give everyone a fix. And this time, it’s a podcast. Strayed joins Steve Almond, the writer who originally created the “Sugar” persona and penned the column for over a year before Strayed took over as Sugar in 2010. Together, they’re answering letters aloud in a weekly conversation. (For those who developed a Serial habit, this will fill the podcast craving as well.) The show came about as a result of a brainstorm between Almond and Lisa Tobin, a producer at WBUR, Boston’s NPR station. Our Musing editor, Mary Laura Philpott, talked to Steve and Lisa about how the show’s going so far and what we can expect. SA: It’s really a confluence of events. I was working with WBUR to develop a podcast with the wonderful Lisa. I write an advice column for WBUR’s website, so the idea of a podcast based on that came up. LT: If you look at the world of podcasting, so many shows are really centered around the personality of the host, rather than around some concept for a show, where you just plug a good host in. That’s a shift from the traditional model. And we knew, in this space, that we wanted to work with Steve Almond. He just seemed like such an obvious person to host a show — his intelligence, his humor, his ability to connect with people on a real level. And so the two of us started experimenting with what format that show might take, and after about a year of playing around, we hit on the idea of bringing Dear Sugar back as a podcast and radio show. Why Steve and Cheryl together? SA: Lisa suggested the possibility of contacting Cheryl and I said, “That’d be great, but she’s so incredibly busy.” But lo and behold, Cheryl said yes. So then we just had to work out the logistics. LT: When Cheryl said yes (which was just incredible, given how busy she is at this moment in her life), it just felt right. Like we knew we had hit on what we should be doing. SA: Honestly, Cheryl could do this show on her own or with another host. You could put her in a studio with a rutabaga and she’d emerge with a brilliant show. But I think we have really good chemistry, which is predicated on simply liking each other a lot and enjoying seeing how the other person thinks and feels in real time. At the heart of the show, I think, are the intentions that Cheryl expressed so brilliantly in her column: radical empathy and a sustained attention to people’s internal lives. But we’re not trying to replicate the magic of the column, which was a literary experience. We want to create a different experience, an intimate conversation between a man and a woman who share a sensibility, a basic devotion to emotional honesty and mercy, but a different set of life experiences. SA: Well, for one thing, the terrain we’re covering, and the language we use, might not fit on radio at this point. And I think we both felt that we wanted to do the show in a way that felt true to our personalities, which are both holy and profane. If people dig what we’re doing, and we remain enthused, it may migrate to radio. But for now, we like that we’re not bound by a format. Besides, all podcasts are, so far as I can tell, is “radio when you want to listen to it.” So the medium doesn’t matter very much to me. What matters are the conversations we’re having. LT: With the explosion of podcasting and on-demand listening, this is a really, really exciting time for public radio. On the one hand, podcasts are “disrupting” the traditional listening model, and that can be a little scary, but there is so much opportunity to experiment, and bring new voices in, and try new things, and do and say things that just might not work on the radio. Steve, when you and Cheryl answer questions on the podcast, your responses seem to be a little looser, less composed, than the written responses when the column was online. How much of that conversation is improvised in the moment and how much is scripted or thought-out in advance? SA: It’s almost entirely improvised. We’ll look over the questions in advance, but we don’t talk about them until we can see the whites of each other’s eyes. That’s the thrill of it. Cheryl is a brilliant extemporaneous thinker and speaker. We both do best when we’re just yakking away and whatever stories or insights we offer arise organically. I think that’s true of most creative endeavors. “Self-consciousness is the death of art” — I think John Cage said that. Wow — I’m impressed that it’s improvised that much. Your comments seem to build on one another so nicely. SA: Lisa works wonders in editing the episodes. She’s the one who takes all of our babbling and edits it into what you hear. She’s a big part of Dear Sugar Radio and deserves the credit. Lisa, what’s it like working with Steve and Cheryl? LT: The first time we went into the studio, it was just like, YES. The two of them have this chemistry and balance each other so well. I sometimes say that Steve is the head and Cheryl is the heart. That’s overly reductionistic, of course, because Cheryl is ridiculously smart and Steve is a big sweetheart. But something in their balance just works. I think they genuinely make each other consider aspects of a question that they might not have gotten to on their own. But ultimately, they both know that their job is not to tell people how to live their lives — it’s to help us see the truths of our lives. Is it ever difficult to edit them? LT: The challenge of editing them is I don’t want to cut anything. Thankfully, podcasts also offer another luxury you don’t have on the radio — which is that they can be whatever length they need to be. So we can let these conversations breathe, which they deserve. We can let listeners go on the journey with Steve and Cheryl, to arrive at some kind of truth. Steve, you and Cheryl have said that when people write to Sugar, they’re not really asking for advice so much as they’re asking permission to feel whatever they’re feeling. Does looking at it that way take a little of the pressure off — as in, you don’t have to worry so much about coming up with “the answer” or a specific course of action so much as you just offer empathy? SA: I think that’s right. But I hope the show is about more than empathy, too. Cheryl and I have both found that folks who write to us are often struggling in a way that makes them blind to certain aspects of their selves and their circumstances. Part of our job is to gently cast some light on these blind spots. LT: It’s an absolute privilege to be the producer on this show. It’s like free therapy. What’s the volume of letters you’ve received since you announced the podcast? SA: As Sugar, Cheryl received thousands of letters. We’re in the hundreds at the moment. They are very moving. I think Cheryl and I both wish we could answer all of them. Ann and Liz . . . or should we call them “Sugar”? Are we allowed to mention that you may be bringing in “guest Sugars”? Can we tell everyone that Ann might take a turn? SA: Absolutely. 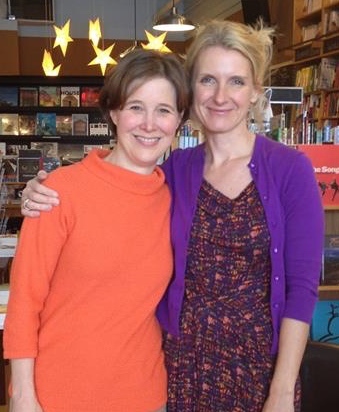 We’re thrilled that Ann Patchett has agreed. We’ve already talked with Elizabeth Gilbert and the wonderful comediennes Cameron Esposito and Rhea Butcher and lots more to come. Part of our mission is to garner insight not just from guests, but also from our favorite writers. So we cite a lot of writers and books. We’re all about writers and books. Steve, what else are you working on these days? Speaking of your books: Are you still eating all that candy? How are your teeth? SA: Yes, I still eat candy. Yes, my teeth hurt. The message to children: don’t eat so much candy. Much later in life, your teeth will hurt. Last question. Best books you’ve read lately? SA: I loved Edith Pearlman’s new collection, Honeydew; Hold the Dark by William Giraldi; and Tony Doerr’s All the Light We Cannot See. I’ll stop there. LT: I just devoured Lily King’s Euphoria and Jenny Offill’s Dept. of Speculation.